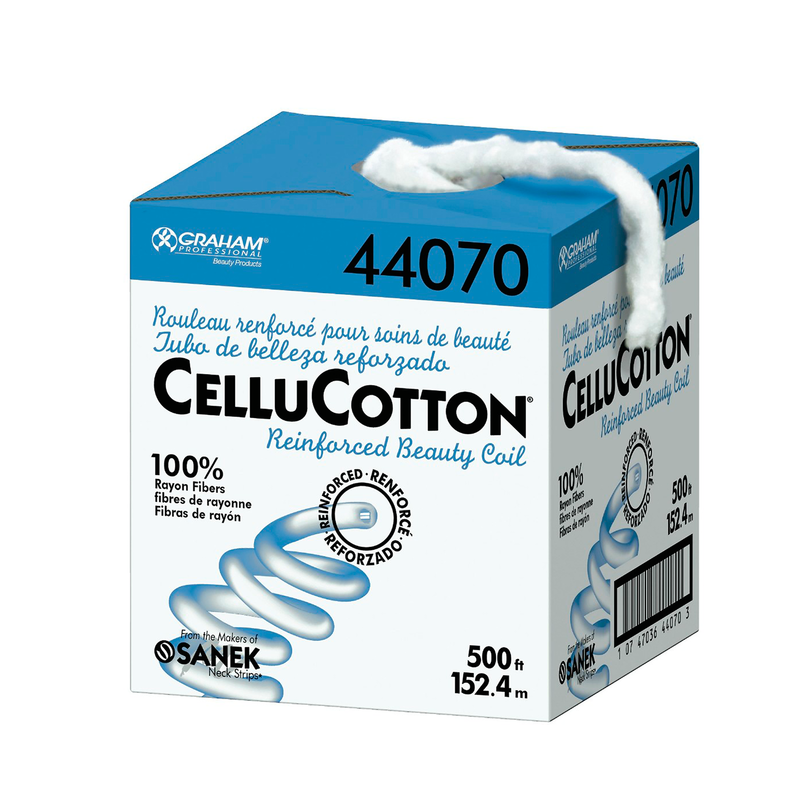 One of the best selling coil for perms, CelluCotton® Beauty Coil catches drips and absorbs excess perm solution with naturally soft, highly absorbent rayon fibers. CelluCotton® is the best way to protect clients’ skin, eyes, and clothing. For added strength and faster absorption, try Reinforced CelluCotton®. - Catches drips and absorbs excess perm solution. - Protects client’s skin, eyes, and clothing.